The majority of women polled in a recent Amnesty International study have said that they were sexually abused, beaten, electro-shocked, touched and groped during detention and interrogations. 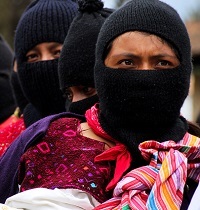 According to the unprecedented report “Surviving Death: Police and Military Torture of Women in Mexico,” a large majority of the women detained in Mexico’s prisons have been accused of organized crime or drug related charges and tortured during detention. Monica Esparza Castro, a 26-year-old mother of four, is one of 100 women interviewed in the study. Monica says that on the day of her detention in 2013, she was pulled over by a municipal police officer and arrested without a warrant. She was then taken to a warehouse behind municipal police offices where she was gang-raped while in police custody as soldiers looked on. She was also electroshocked, suffocated with a plastic bag and dragged along the floor by her hair in the city of Torreon, Coahuila. Like 72% of the women interviewed, Monica was sexually assaulted and tortured by officials who sought to force her to confess to being part of a criminal gang. After being raped and tortured and witnessing the murder of her husband by police, Monica was forced to sign a confession stating her affiliation with Los Zetas, Mexico’s largest drug cartel. Three years since her detention Monica is still awaiting the outcome of her trial for the charges of involvement in organized crime. The 60-page Amnesty International report describes in detail the sexual violence and gender-specific forms of torture and ill-treatment women have been subjected to in prison through first-hand testimonies of women prisoners. These graphic stories of sexual violence and torture painfully illuminate the concerning prevalence of this invisible human rights issue. “These women’s stories paint an utterly shocking snapshot of the level of torture against women in Mexico, even by local standards. Sexual violence used as a form of torture seems to have become a routine part of interrogations,” said Erika Guevara-Rosas, Americas Director at Amnesty International. Since the beginning of the drug war, Mexico has been pressured to demonstrate positive results in mitigating drug production and trafficking. From the ‘drug kingpin’ strategy of detaining drug cartel leaders to the revamping of its criminal justice system through judicial reforms, Mexico has consistently tried to rack up as many “drug war victories” as possible. A majority of the pressure is coming from the United States through the Merida Initiative—a $2 billion dollar security package launched in 2007 aimed at helping Mexico fight the drug cartels. The package is focused on providing equipment and goods as well as specialized training. In the last official remark published by the U.S. State Department, Assistant Secretary for the Bureau of International Narcotics and Law Enforcement Affairs William R. Brownfield boasted of the removal and arrest of 33 high-level cartel leaders in 2011. According to Brownfield, these arrests included four of the top seven most wanted criminals designated by the Mexican government. 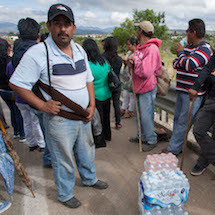 These key successes according to Brownfield have been a result of specialized training and deployment of thousands of Mexican police and military forces that have effectively militarized dozens of towns throughout the country. 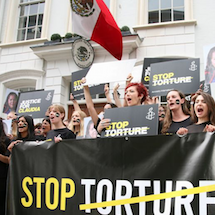 As a result, the ‘barbaric violence’ the U.S. sought to end in Mexico was terribly exasperated and scholars, activists, and victims cite it as a big contributing factor to the rise in human rights abuses in the country. The Amnesty International study is only the most recent example of how women have been disproportionately affected by the heavily militarized war on drugs. Feeling the pressure to show results, the Mexican military and police forces have detained women, forcing them to confess for drug-related crimes they didn’t commit by means of sexual torture. 82% of the women were arrested after 2011 and charged with organized crime, narcotics crimes, kidnapping, and illegal possession of firearms. “Women from marginalized backgrounds are the most vulnerable in Mexico’s so-called ‘war on drugs’. They are usually seen as easy targets by authorities who are often more eager to show they are putting people behind bars than to ensure they are finding the real criminals,” says Guevara-Rosas. Furthermore, the number of charges against authorities accused of violence and torture are alarmingly low. 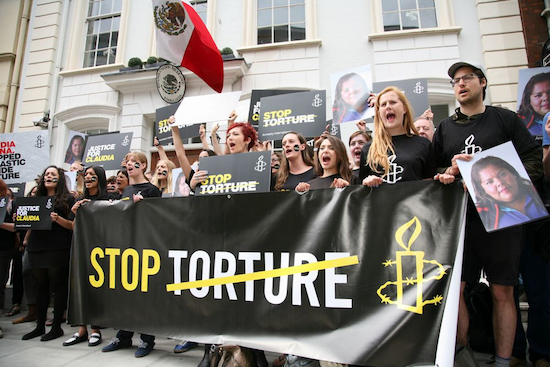 The Mexican government received 2,403 complaints of torture in 2014 yet was unable to provide any information about developments to these cases to Amnesty International. Even when police and military are clearly identified abusing women prisoners, like in a video of military officials suffocating a woman with a plastic bag during an interrogation leaked earlier this year, rarely do they face sentencing. Meanwhile, police and military forces continue to arbitrarily detain and torture women in complete impunity in the name of the war on drugs, and at the cost of women’s human rights in Mexico.